Great story line! I like the way Lloyd develops his characters. He makes them real. I like the way the author pulled it all together in the end; especially the way he made the lives of each character intertwine some way or another. Although, Stewart was the least of my favorites, I could sympathize with him due to his inner turmoil. Overall, good book that deals with real life stuff. I really like this book. It was an enjoyable read. Lloyd Johnson has written a book that captures the essence of what it's like to lose your soul for money and power. Is it worth it? You be the judge. 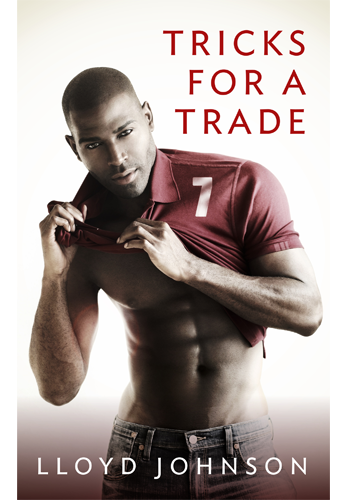 Tricks for a Trade allows the reader to enter the lives of Armando and his girlfriend Karen; Gary and his wife Wanda; Cabrien (Karen's cousin); Drake and Stewart. While the story starts off slow, it really picks up speed before the middle of the book and you will see how Lloyd Johnson skillfully weaves all the characters together that begins the twist and turns of the story. The conflict of the story is very real, because we have Armando and Cabrien both losing their jobs and out of desperation turning tricks for money. Then you have Drake and Wanda both living comfortably using their power to influence those around them. Lloyd has created interesting characters in this book that you will be rooting for or against. I especially felt sorry for Armando and Cabrien and was a little emotional by the events that were stacking up against them. Nevertheless, it gives the reader a glimpse of what happens in the lives of real people who must survive in this cruel world. I hope that Lloyd Johnson gives the reader a sequel because I feel as though there is more story to tell. The book is well written and the drama is very subtle but enough to keep you interested. It was a page-turner and I was pleasantly surprised with how the story ended. Lloyd Johnson did a great job. I would recommend this book for reading. It was entertaining.